I was delighted to interview the lovely Kara Mclaughlin. She is a professional ballet dancer and is part of the wonderful Scottish Ballet Company. 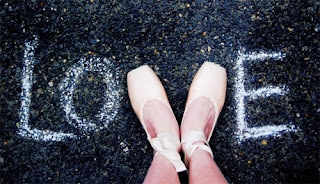 The Scottish Ballet is very close to our little Tippy Toes hearts, as Emma and I trained at The Dance School of Scotland at Knightswood which is a vocational school affiliated with The Scottish Ballet. In fact, we trained alongside Kara and we both knew in those days how successful Kara would become, as even at a young age, she was completely professional, extremely hard working and especially graceful and talented. Irvine-born Kara McLaughlin joined Scottish Ballet in 1996 straight from the Dance School of Scotland, thus creating a piece of Scottish Ballet history. She was promoted to Coryphée in July 2007. At what age did you know you wanted to be a ballerina? I began dancing at the age of 3 holding onto a chair as a barre and I loved it. I loved the movement, music and discipline. I guess when my mum pointed out to me that I should talk to the other girls it was clear I was serious about dancing. I used to go and watch the Scottish Ballet Company and it was a dream to be on stage like that someday. What is your most precious memory of dancing as a child? My most precious memory dancing as a child was when I had the part of Pinocchio at the Magnum Theatre in Irvine. It was my first lead character role speaking and dancing. Knowing my whole family were there to support me was the best feeling. Did you have a favourite teacher or role model? I have had many great teachers throughout my career. They have been strict but fair and made me realise how hard a profession this is and that you need to work hard. Without doubt my role models are my mum and dad. They are full of support and encouragement and I wouldn't be where I am today without them. Why do you think every little girl should take up ballet? I think ballet is great for kids for many reasons. The physical side, keeping them active and working their coordination. The discipline, keeping to a schedule, retaining information and remembering corrections and exercises. learning to have determination to accomplish a step to make it better. Socially, it's a great way to interact with other kids. Which role was your favourite to dance and why? My favourite role was as Lady Capulet in Romeo and Juliet. I loved it, the costume, the character the drama and the music was fantastic. What is the most beautiful costume that you have worn? Lady Capulet was one of the greatest costumes. It was a long, simple black velvet dress with sparkly diamond earrings. I have been lucky to wear some beautiful tutus in Nutcracker and Cinderella and some lovely 1920s cocktail dresses in Pennies from heaven and Nutcracker also. 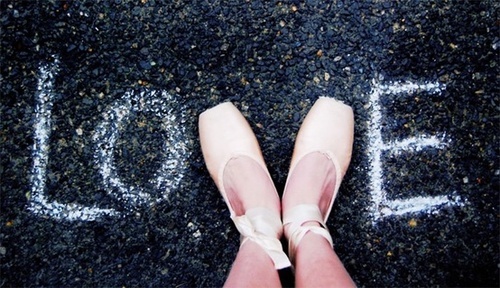 In your opinion what is the hardest thing about ballet? The hardest thing about ballet is the commitment and dedication you have to put in and the ability to remain positive and believe you can accomplish things when they seem so hard. You have to learn to pick yourself up regardless and keep trying. Its knowing that although ballet is so difficult the greatest accomplishment is making it look effortless to the audience. Who is your favourite pas de deux partner? I have been lucky to dance with some great partners in my life and I couldn't possibly single one out. The best effect of a partnership is when the dancers get on well and can give honest opinions about things and keep trying to give the dance the best value. My prodest moment was being offered the job with Scottish Ballet, my dream come true. I thank my lucky stars every day to work for my national company and perform on my home stage where my friends and family can watch. Do you have any advice for our aspiring ballerina's? My advice for aspiring ballerinas would be to just keep at it. If you love to dance and perform and your heart is in it just keep dancing from your heart. However hard it seems dont give up. Keep working hard and never stop learning. Have an open mind and be true to yourself and your work. Be the best dancer you can be for you, no-one else. Nothing beats the feeling of bowing on the stage to an audience clapping, standing and shouting bravo ! A big thank you to Kara for the interview, and if you would like to find out more information on Kara and her career, take a look here at The Scottish Ballet website.